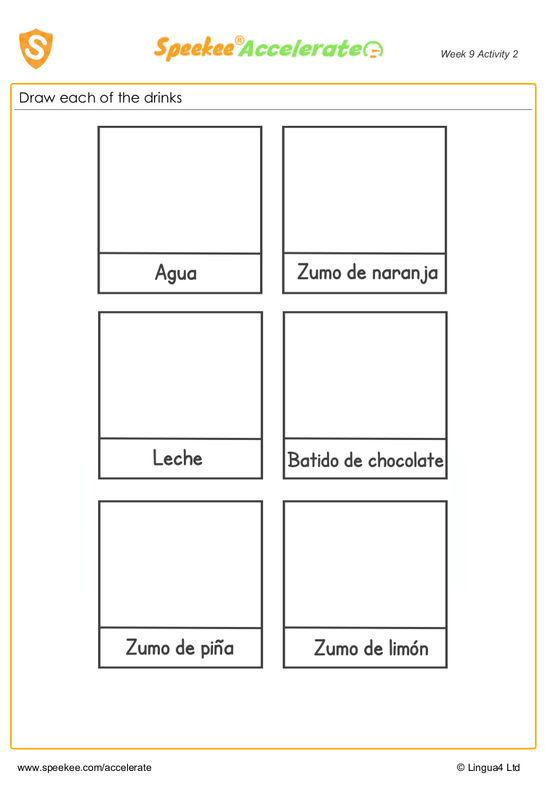 Spanish worksheet - drinks. A list of drinks in Spanish. Kids have fun drawing them!